Looking back at some of my sketches of old houses, my favourites are often framed by trees. 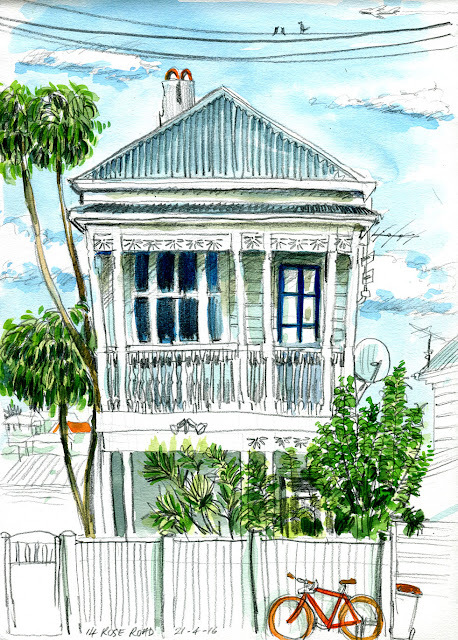 Like this quick and loosely drawn Grey Lynn villa with it's Queensland Umbrella Tree. I wonder if it would be as interesting without the lush greenery?